August 23, 2018, 8:21 a.m.
With the new Premier League season underway, it provides the chance to once again assess the now fierce battle between Sky Sports and BT Sport, and how both brands are faring as football coverage begins to enter a new age. It has been well established that BT Sport has provided a real opposition to Sky’s dominant position, with BT Sport’s £897m acquisition of the Champions League sending shockwaves through the industry. 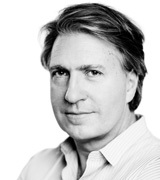 However, both broadcasters can see new challenges on the horizon. Amazon has cracked the longstanding duopoly by announcing it will become the first internet streaming service to show Premier League football live this year. Added to this, we may expect the likes of Facebook, Apple and possibly even steaming services like Netflix to follow suit in the years ahead. 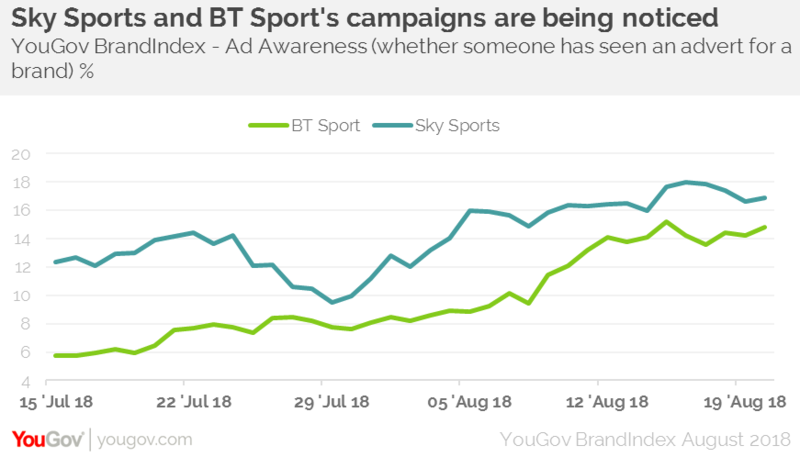 Going back to the present day, YouGov BrandIndex data indicates that both Sky Sports’ and BT Sport’s ad campaigns to support the Premier League launch have achieved cut-through. Sky Sports’ Ad Awareness (whether someone has seen an advert for a brand) has risen from +10 to +18 since it released its ‘Take your seat’ campaign at the end of July, showing fans rushing to get a seat at a game, dragging their sofas and chairs with them. BT Sport’s Ad Awareness has also seen a rise of 7 points, from +8 to +15 after their campaign ‘Take them all on’ which shows a little girl crushing challenging various football stars to a game on her way to school. In addition to this, BT sub brand EE has also been promoting the service recently. Sky Sports has of course helped revolutionise the sport in this country, and after so long as the premier broadcaster, consumers are well aware of its output. Perhaps then it is no surprise it has a higher Quality score (+11 vs +7.) However, in terms of Value score BT Sport takes the lead (-7) above Sky Sports on -12. Of course, both brands are concerned about shifting viewing habits, and will have to adapt to them. They’re also only too aware of the threat posed by illegal streaming. In terms of their marketing efforts at least, both are reaching consumers with high-profile campaigns.